Lere Mgayiya is an inspirational and visionary entrepreneur. His approach to social entrepreneurship has seen him winning the Sanlam Money Game. Lere’s Shoe Shine Experience which began in 2003 saw him walking off with the winning prize in the SAB Kickstart Competition in 2004. 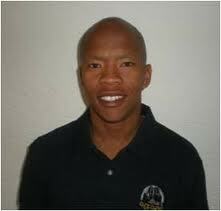 He was the National Runner–Up of the SAB Kickstart Competition in 2005 in the category Developing Business.